High end foundations, I've not had the best luck with you over the years and yet I want to try you all. 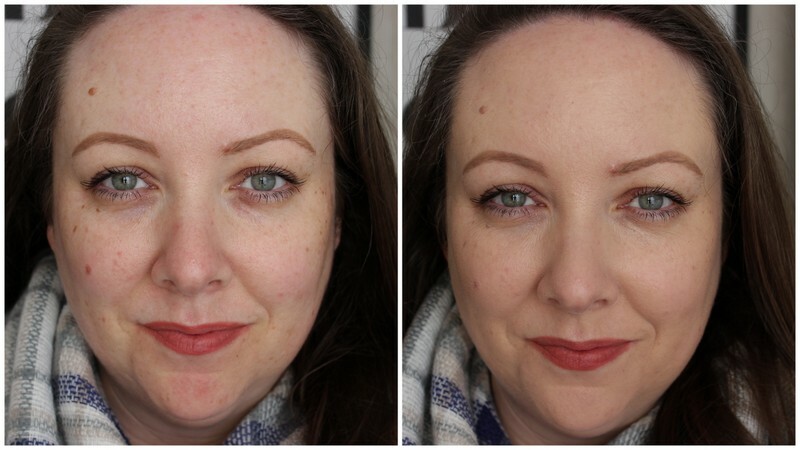 One that's been on my wish list for ages is Giorgio Armani Luminous Silk Foundation and Lovely Mammy Bits got it for me for Christmas, so I've been putting it through its paces since then. I thought it'd be a good one to try out for the start of the year when my skin can tend to be a bit blah and sure listen, any excuse to add to my ridiculous collection of foundations! I'd researched swatches online and was convinced I was going to be shade 3 or thereabouts as I'm grand and pale and don't wear a huge amount of fake tan. Turns out I'm actually shade 5 which is the perfect match for me and it's not mahogo at all. I think that's the highest number I've ever been in a foundation! Usually one pump of a foundation is enough to cover my entire visage, but I need two of this to give me the level of coverage I want. I'm not going to lie, using two full pumps for one layer kind of made me feel like I'd a massive face. 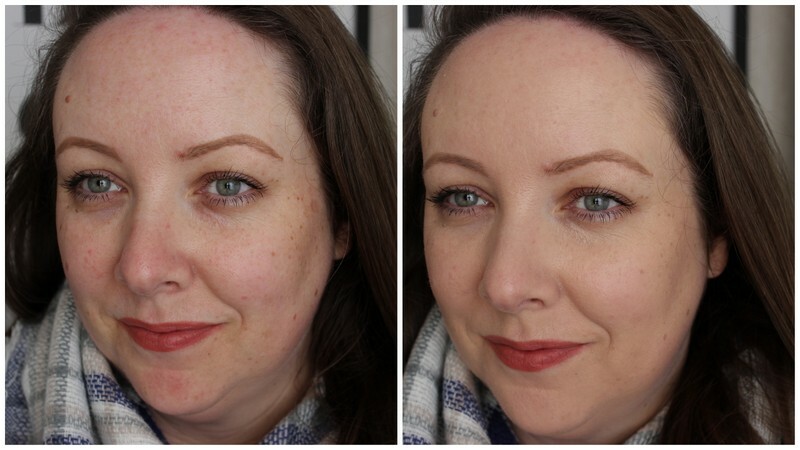 Like when testing out all foundations, I gave it a bash with my Beauty Blender and a round topped foundation brush on different days and both methods give me a lovely even finish that looks really natural on the skin. With my oily t-zone, powdering is an absolute must with this, or using a mattifying primer, otherwise I'm a shiny nosed mess by 10 am. Maybe it's because of the glow promising factor that it doesn't quite set on my skin and those with dryer skins will love it. Oily folks, prime or powder and thank me later. Right now, I'm changing up my skincare routine and along with that, going from being either freezing or roasting, my skin isn't the best it's ever been. What I've noticed is that this doesn't cling to any dry patches on and around my schnoz, and that always gets bonus points. And what gives it extra points is that it doesn't look like I'm wearing makeup, it just looks like I'm having a good skin day and I think the before and after photos do a great job of showing that. If I wanted an extra flawless finish, then I'd apply a second light layer and it's lightweight texture means that it's easily buildable and still doesn't look cakey. I don't like cakey face, I like cakey in my face thank you. So far, I'm loving it once I remember to powder my skin after applying it, otherwise I do be shining bright like a diamond. At €45, it ain't cheap, but if you're in the market for an oil-free, lightweight, photograph friendly bases (there's no SPF so no flashback making it one of the go to wedding foundations). Have you tried the Giorgio Armani Luminous Silk foundation yet? And tell me this, what's your favourite high end foundation that I need to try next?